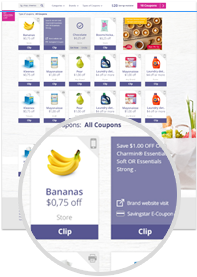 We found all of the Cereal & Breakfast coupons available online and put them all on this page so it's super easy to find and print the coupons you want! Save $0.50 when you purchase ANY ONE (1) Kellogg's® Corn Pops® Cereal. Valid on 9.2 oz or larger, any variety. NEVER MISS ANOTHER CEREAL & BREAKFAST COUPON! Save $0.50 when you purchase ANY ONE (1) Kellogg's® Apple Jacks® Cereal. Valid on 8.7 oz or larger, any variety. Save $0.50 when you purchase ANY ONE (1) Kellogg's® Corn Flakes® Cereal. Valid on 12 oz - 24 oz, any variety. Save $0.65 when you purchase ANY ONE (1) Kellogg's® Krave Cereal. Valid on 11 oz or larger, any variety.